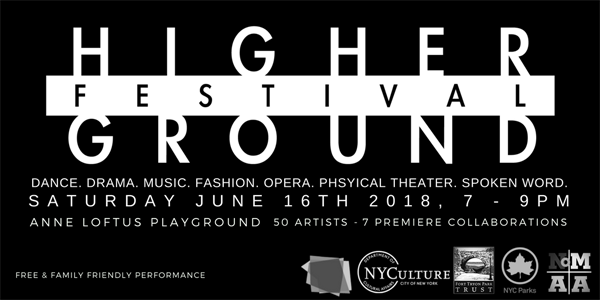 The 2018 Higher Ground Festival takes place on Saturday, June 16 at the Anne Loftus Playground. Higher Ground Festival brings artists of Washington Heights and Inwood together to network and to create interdisciplinary collaborations, which are presented free to the public. You have to love Uptown summers. Enjoy!